Keeping everything you have in your home is not only impractical, it’s a waste of time and resources. 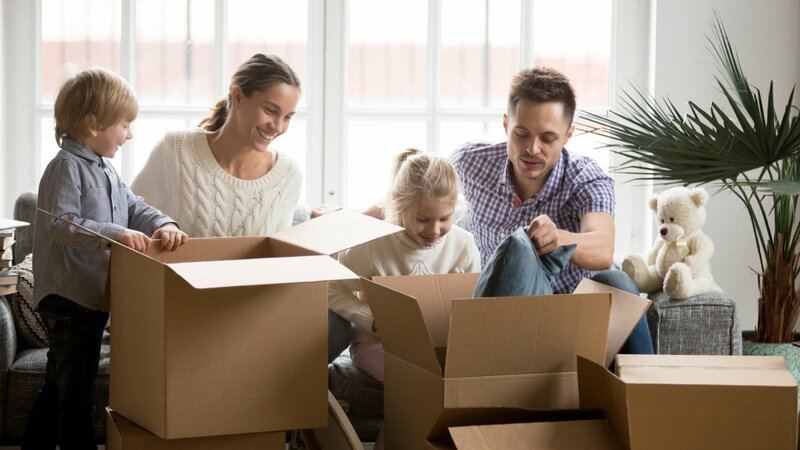 Decluttering your house before you move builds confidence and motivation and will save you packing space as well as time when it comes to boxing and unboxing your items. You are too busy to store things well so you end up buying new things rather than locating the old. Waste-not-want-not mentality. As soon as you clear out you will need that important item that hasn’t been touched in 12 months. The mess is too big and you don’t know where to start so you do something else. Break the cycle of hording and start your new life in your new home fresh and sparkling clean. Make sure you start decluttering early. Set a schedule in your calendar to go through just one room a week if you like. The results will be a cleaner house which leads to a feeling of more space, more organisation and less overwhelm as you move towards moving day. Set a time that works for the whole household and get everyone moving together. As little as 10 minutes a day or 1 hour over the weekend is enough to get everyone started. Stick to it! Once you start you will realise how productive, rewarding and possible decluttering is. We do the right thing and store our bills and tax files for seven years in case we are ever called on to explain or refute something. However, in most cases having to produce paperwork is never required. While we might be diligent about filing our paperwork we are not so good about going through those files and removing ten year old bills from previous phone numbers, previous car registration receipts, water bill payments from two properties ago or induction materials from our first job. The best way to handle those files is actually to get rid of everything and start online storage. Ask your providers to send bills, payments and notifications electronically and scan all your current paperwork to upload to cloud files. Not only is this a much more efficient way to look after your documents you will have everything available to you if there is ever damage like fire or flood which might wipe out your paper trails. You had good intentions to get that broken item fixed, only you never quite got around to it. So far you have managed just fine without it so holding onto it now, with a promise to get it repaired some time in the future, is probably not in your best interest. If you do really love it get it fixed right now, if you don’t you never will. The same goes for your mending pile. Either get to work with the needle and get it back into your wardrobe or throw it away. This includes those clothing items that have been pushed to the back of your cupboard and you haven’t seen in a year. Anything that has been stored in suitcases, top cupboard shelves or backs of wardrobes that has been forgotten about probably won’t ever be used. Discovering them now might be a surprise, but best to offer them a new home rather than lug them along for storage in your new place. Tip: Clothes that don’t fit. Sometimes we like to hold onto clothes that don’t fit thinking that when we lose weight we can bring back the old wardrobe. Rather than hold onto them, make a promise to yourself to go on a shopping spree when you achieve your weight goals and donate those tight clothes now. Having multiple identical items usually applies in the kitchen and garden shed. You might have wound up with three can openers or four sets of gardening shears. Having an extra (or two) lying around for ‘just in case’ is a waste of space and it also makes your kitchen or work area harder to use. The less you have the faster and easier it is to put your hand on the tool you want when you need it. Spices, stocks, frozen and tinned goods can often get pushed to the back and forgotten. Go through all the cupboard items in your kitchen and bin anything that has past its expiry date. This is especially crucial for medicines. We can often have stored over the counter medicines and ointments in the first aid box that are past their expiry date. Holding onto these is not only a waste of time, it’s also dangerous to your health. Some sunscreen, makeup and bathroom products have used by dates once they have been exposed to open air. Anything that you don’t use regularly in the bathroom is probably not going to be effective once opened for more than a few months and needs to be binned. Having unused items around your home is not just a waste for you, it’s also a waste of that items purpose. Sell, donate or gift the items you no longer use so that someone else can give them a loving home and enjoy them. Thinking this way helps break the hoarding cycle and allows those people who feel like getting rid of something is a waste to understand they are actually wasting if they continue to hold onto it.